Going ultralight on hiking or backpacking trips allows for a bit of extra gear - lets call them luxuries. Be it a packraft to go for a paddle, that enjoyable softcover book, an extra lens and small tripod to practice some photography, a Platypus of wine or some extra delicacies in the food department - when you go light, a little extra luxury is not an extra burden and makes your trip a more memorable experience. This summer I decided I will take some UL climbing gear with me, so tackle some boulder problems, go for a small scramble, and generally have some ultralight climbing fun. In this post I will showcase some of my lightweight climbing gear, and hopefully animate some of you to try this fascinating sport! As with hiking, packrafting, skiing and backpacking, you're well advised to know what you're doing when you go climbing. There's a lot of potential to seriously injure yourself when you go climbing without proper training and instructions. You're best off to do a beginners course at your local climbing centre, to get a proper introduction and training. Even after that, you always should consider the safety of yourself and your climbing partner. You have been warned! I made my first forays into climbing as a kid. Trees, and later rocks, hills and mountains were always a preferred destination to climb and play on for my brother and me. My parents took us in the holidays usually to Austria, Switzerland, South Tyrol and Italy, all being prime destinations for scrambling about on those pointy bits. The highlight always were the hikes in the mountains - be it in the Italian Dolomites, or in a picturesque Austrian valley with a raging white water river and beautiful mountains surrounding us, with the occasional waterfall falling down a cliff guaranteeing Ahs! and Ohs! from us kids. The mountains are spectacular, an element of landscape of such grandeur and beauty that there is possibly no other landscape which fascinates us humans so much, and I often long to visit them - be it our Nordic mountains, the Alps, or the amazing landscape that are the rocks and canyons of Utah. At the age of nineteen I finally managed to visit a climbing centre with my brother and friends, and we did a beginners course in climbing. Learning about proper safety, how to put on a harness, how to belay, the figure-of-eight-knot, and climbing technique. 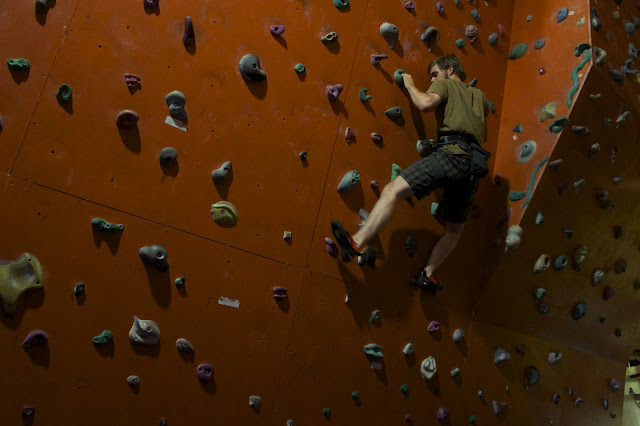 A few more visits to the climbing centre were in order to satisfy our thirst for this new, exciting hobby. And then I moved in the winter to Jyväskylä, Finland. There was no climbing hall. It was -30°C outside. I knew nobody who was interested in climbing. And so, except the rare visit to a climbing centre in another city, or a scramble up a rock, the climbing virus was silently slumbering away inside of me, unsatisfied. Three years ago I then moved to Tampere, a proper city, with two climbing centres. But still no climbing mates. That changed with a job in Helsinki, where a good friend was a passionate climber, and after a few visits to the climbing centre together with him I again was hooked. I decided that it is time to get my own climbing gear, and start visiting the local spots for bouldering, and practice my climbing when down in the capital. So nowadays, even when I have two climbing & boulder centres in town, I often can not be bothered to get all the gear packed, cycle to the centre, climb for an hour or two and then head back home. That's why I decided to get a Trainingboard from Bergfreunde.de. I went for the Metolius Simulator 3D Trainingboard and a pair of Metolius Rock Rings 3D. The former is a state-of-the-art board, to be attached to an overhanging wall or above a door. It takes a bit of time and some extra material to get it attached correctly, but once the 3D Trainingboard is in place your workout can start! A lot easier to attach are the Rock Rings - I used two carabiners to attach them to my stairs, though you also could attach them to a tree outside! They are very nice for workouts, and have two, three, four and full hand holds all in one. Really nifty, and by far my favourite way to train at home. 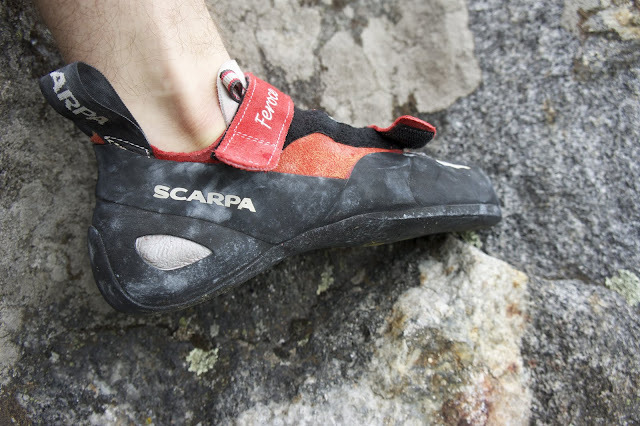 The Scarpa Feroce (550 gram for the pair in Size 41) is my climbing shoe of choice. Climbing shoes are a fickle thing: They need to be tight-fitting so that you can get a good hold on small holds, but too tight and it hurts, too loose and you might not get the best hold when climbing. The common guideline is that it should be a "bearable" pain. I started at two sizes lower than normal and sized up until the pain was bearable, the fitting comfortable and I was able to get a good hold on litte protrusions. They get more comfy the more I use them, so it is all a matter of breaking them in. The shoe itself is easy to put on and off, and has a superb grip on boulder and inside walls, and is comfortable enough for me to wear it over several routes without breaks. A very fine shoe. Get the Scarpa Feroce here. I have two harnesses for different applications. My go-to harness is the Arc'teryx R 320 harness (330 gram in Size M). It has four gear loops and a small loop in the centre back, which I use for my chalkbag. It is fully adjustable, and has a wide belt and leg loops, which make it very comfortable to wear. And that is why I chose this one, and why I usually use it - it is really comfy. If you're abseiling then the wide belt and leg loops make that a very comfortable experience, as your own weight is distributed a lot more evenly than on narrow-built belts. The build quality is excellent, as you expect it from Arc'teryx. To keep my hands dry and ensure a good grip inside & outside, I find chalk indispensable. Nowadays there's even environmentally acceptable chalk if you climb outside, so environmental concerns are also kept in check. The Arc'teryx C80 Chalkbag (108 gram as bought, 88 gram after cutting off the cord) was my choice, as it has a big opening which is easy to open and close with one hand behind your back, and I can get both my hands in the opening, which is convenient. A chalkbag would also make for a fine MYOG project which could result in a lighter chalkbag, though I am at the moment rather short on time so I bought one. There's different sizes of chalkbags on the market, from S to L, so it is best you try the one you wanna get. On the hardware side of things, the DMM Phantom keylock carabiner (41 gram) and the DMM Phantom carabiner (25 gram) are my 'biners of choice. Light, easy to use with one hand, and high strength, these were easy choices. I use a Petzl Verso (54 gram) as my belay device. I prefer this lightweight, manuel belay device over automatic devices who are a lot more heavy and also tend to have more parts to break than the simple Verso. With the Verso, it are skills and knowledge that matter, not fancy technology which can fail. 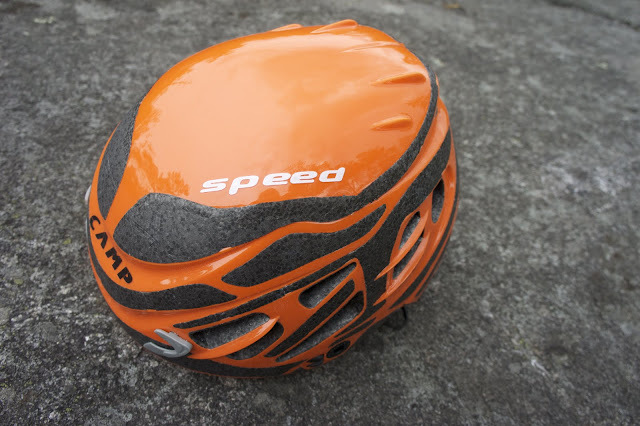 For climbing (& packrafting) I use a Camp Speed Helmet (238 gram), which is probably the lightest helmet on the market. Climbing outdoors without a helmet is dumb and asks for trouble, so get one. Its little weight means it is not a burden when climbing, plenty of ventilation holes let you keep a cool head, it is also comfortable - and hey, it is orange and makes you look cool! So no reason to not wear a helmet. Get the CAMP Speed Helmet at Bergfreunde.de. The other harness I use is the Camp Alp 95 harness aka The lightest CE certified harness in the world at 114 gram in Size M. This harness gets used on fast and light trips where I plan to do a bit of bouldering outside, to have a place to put my chalkbag and hardware. It also will come in handy on future ski trips where glaciers want to be traversed, and hence a light belt which allows me to strap myself in is immensely useful. 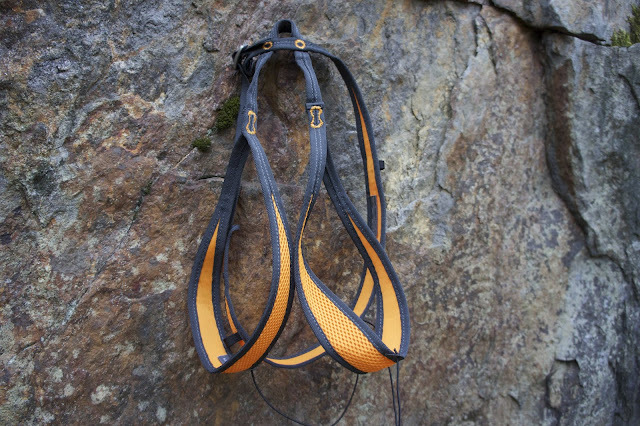 For climbing it is obviously also very well built, so if you find that you really only need the lightest harness in the world for your adventures, then you won't need to look any further. You can get it at Bergfreunde.de. Ropes then. 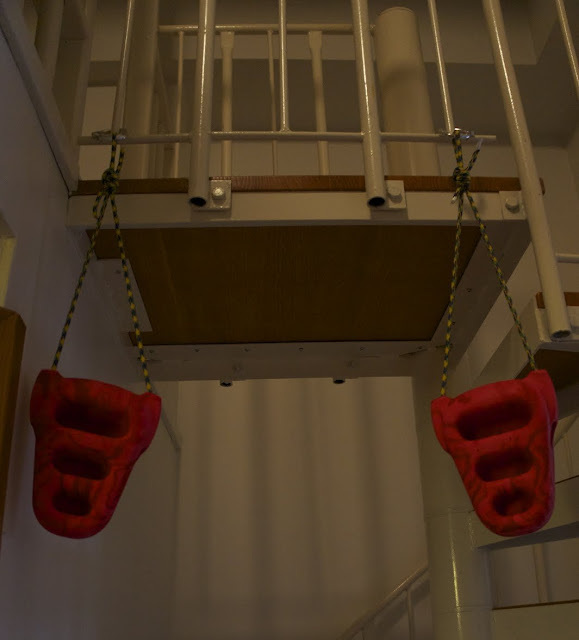 If you're only going bouldering, or climb in halls, chances are you won't need one. If you're venturing outside for your climbing adventures or traversing glaciers, chances are you want a rope. I have a Tendon 9.7 dynamic single rope. A high resistance to abrasion, great handling qualities and a good knotabilty characterize this rope, and with a weight of 61 gram per meter it is on the light side of ropes. You can use it for your climbing in the hall, your outdoor adventures and even for "extreme ascents in the mountains" as Tendon assures me. I use it for the first two endeavors, and should everything work out as I want, I might even give it a go when trying out ice climbing next winter. 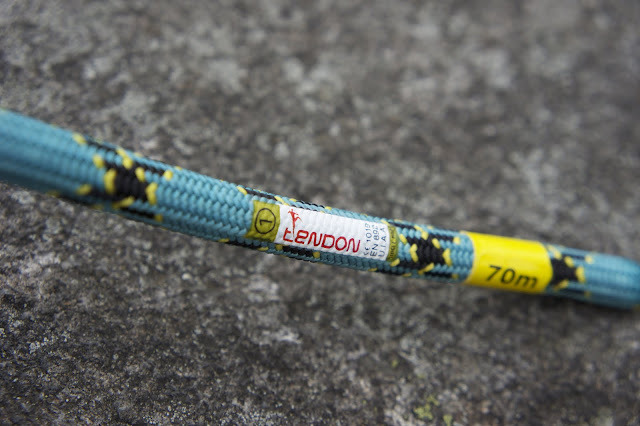 Get the Tendon 9.7 rope at Bergfreunde.de or at Camu.fi. 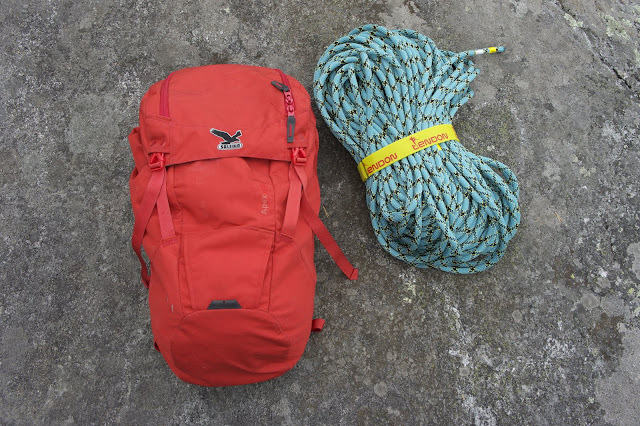 I pack it all in my Salewa Apex 28 BP pack, which I really love. 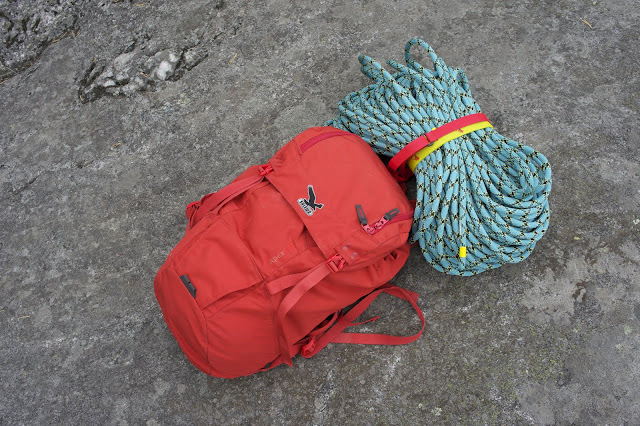 At 752 gram (excluding the 45 gram removable hipbelt) it is a lightweight climbing pack, which can take a lot of abuse. Made of tough Cordura this pack is made for the mountains, but it is equally at home on dayhikes, UL trips of up to four days and I also use it for shopping & work trips where it makes a good figure. An internal hydration bladder pocket, and a small inside net pocket ensure some order, and the lid pocket is a really multipurpose wonder, with a waterproof pocket and a net pocket you have three separate pockets in the lid, which, yes, rocks. If time allows, I will do a video about this fine pack, though if you can't wait, get the Salewa Apex 28 here. I also have a Camp Corsa ice axe for some mountaineering adventures, though more on that later! You can see more photos of all the gear in this Picasa Album. Camp from Italy. 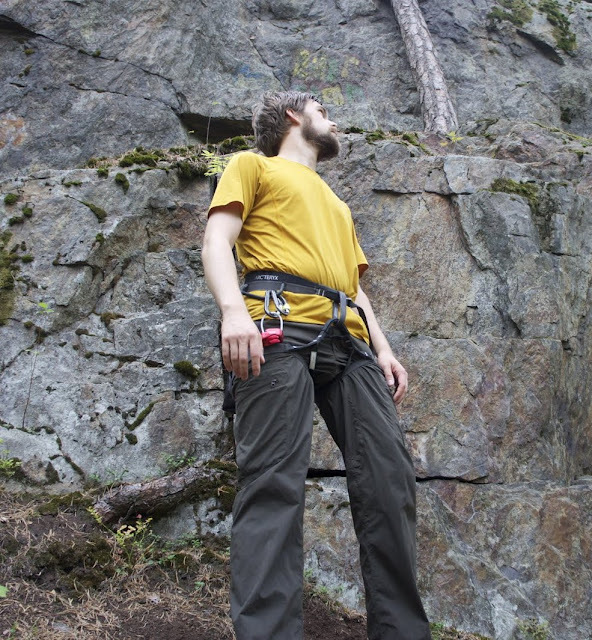 THE ultralight climbing company, excellent and lightest quality since over 100 years. Tendon from the Czech Republic. High quality ropes for affordable prices. DMM from Wales. My choice for 'biners. 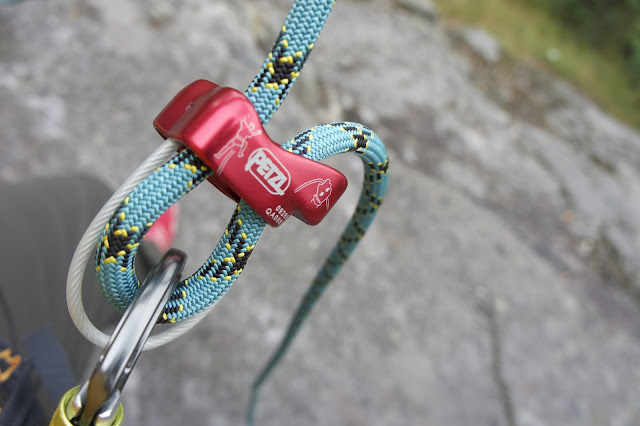 Petzl from France. Experts in headlamps, mountaineering, caving and climbing gear. Arc'teryx from Canada. Climbing gear and fine garments. Salewa from Germany. Backpacks, clothing, soft goods and hardware. Scarpa from Italy. My preferred climbing shoes - light and comfy.